* This list is not complete. Under Construction. “軍” means an army, a force or troops. “用(よう you)” has various meaning, but in this case it means “for”. 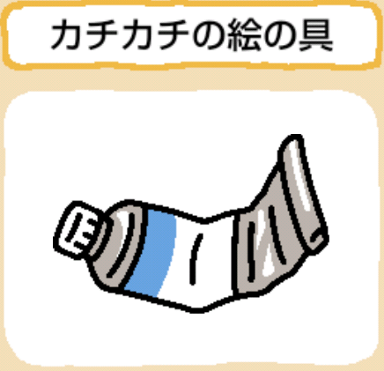 “手袋(てぶくろ tebukuro)” means gloves. 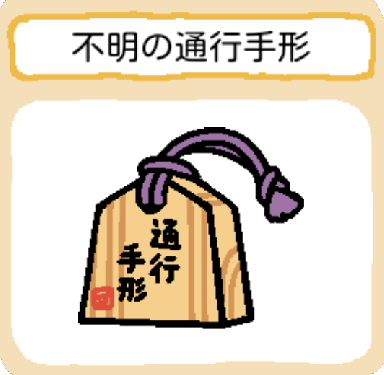 “手” means a hand, “袋(ふくろ fukuro)” means a bag. 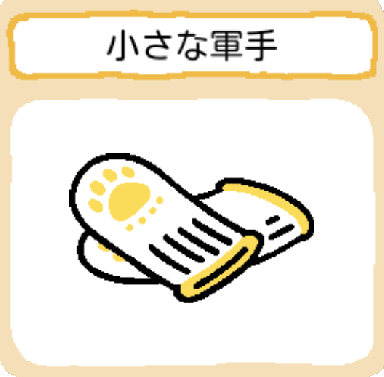 That is, “軍用手袋” is military gloves. It seems name are derived from ones which was used in old Japan army, but when doing physical labor such as farming and the machinery maintenance, it is mainly used to protect the hand now. Yellow dots are projections for skidproof. I does not know whether it is possible to buy it,but there is something like the following. It is a transit permit of the Sekisho somewhere. “関所(せきしょ sekisho)” means a barrier station or a checkpoint. Famous ones are Hakone and Arai . “通行” means passing or transit. 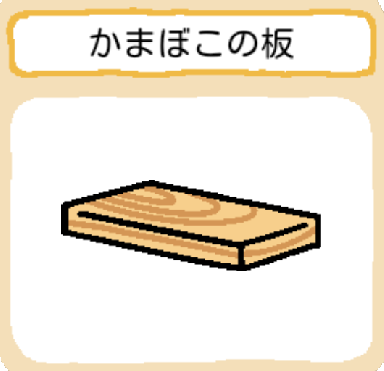 “手形” means typically the paper which proves certain qualification or a license,but “通行手形” is made of wood. It is sold as a souvenir. 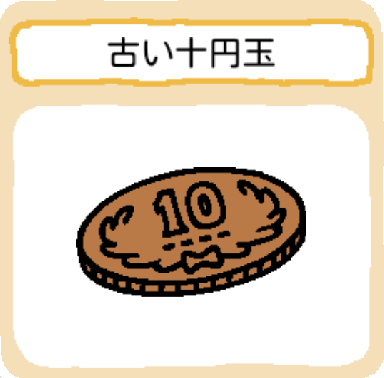 A old ten yen coin. The side is doing zigzag(jaggy). 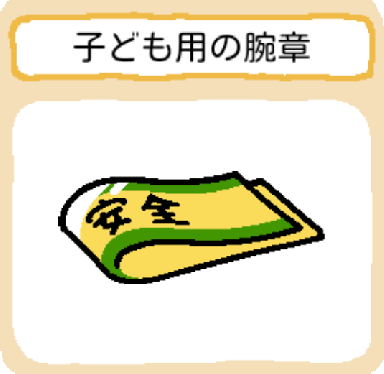 “円” means a circle, but in this case( a number + “円”) it means Japanese Yen. 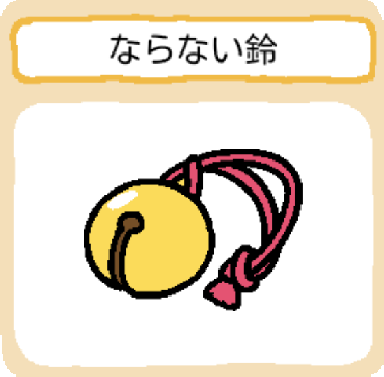 “玉(tama)” means usually a ball or sphere, but in this case it means suffix like a quantifier of circular thing. There isn’t zigzag in present the a yen coin. A ten yen coin with zigzag is called” Giza Jyuu”. The ten yen coin produced during 1958 from 1951. Stone of the strange shape. Stonework with the characteristic shape to make a person feel power very much. 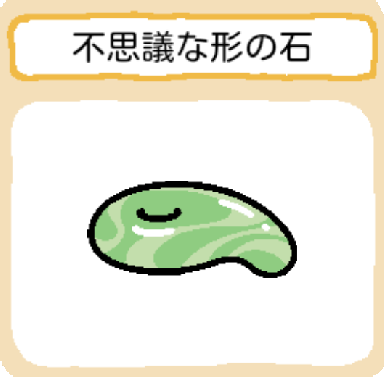 This is a 勾玉(まがたま Magatama). 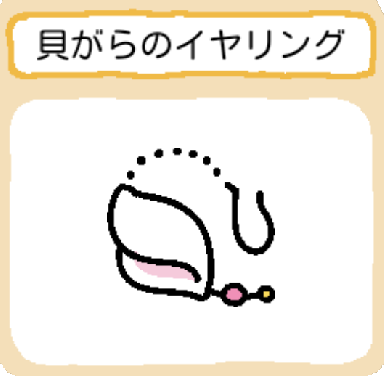 “勾玉” is a ancient accessory which is like comma-shaped. 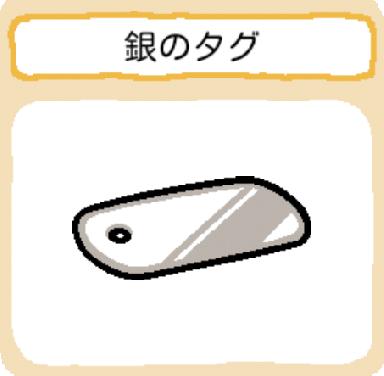 The silver tag which nothing is written. “タグ” is “tag” in Japanese notation. “花” means a flower, bloom or blossom. “がら(柄)” means a pattern or a design. 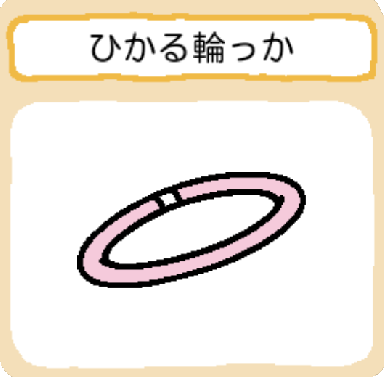 “輪” means a circle, but in this case it means a loop or a hoop. A beautiful and smallish hat adorned by a feather of waterfowl. 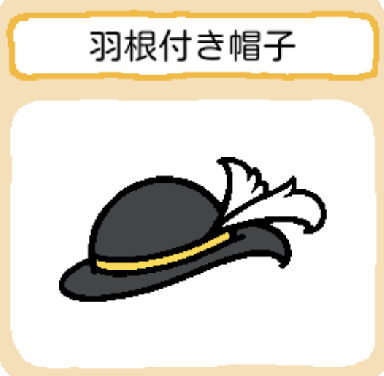 帽子 means a hat or cap. Second,it means match or mix. In this case, it means second meanings. That which is sold at a night stall. This is a kind of Glow stick(chemical light).It seems that “Cyalume” is a trademark of Omni Glow OmniGlow, LLC. It is made of high-quality hair. 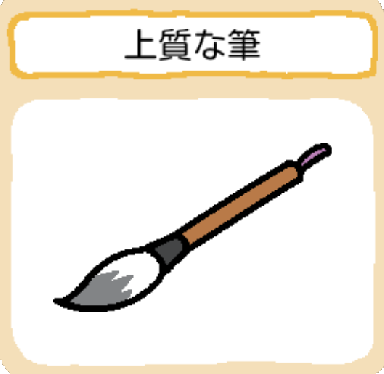 筆 means a writing brush(currently mainly used for shodo). A beautiful shell that a small beads are added. 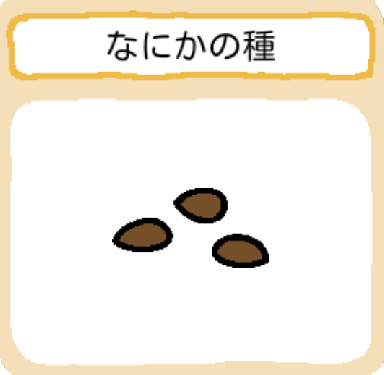 This “がら” is “殻(から/がら kara/gara)” , not “柄”. 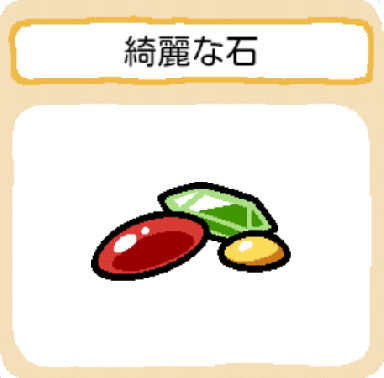 “ビーズ” is “beads” in Japanese notation. 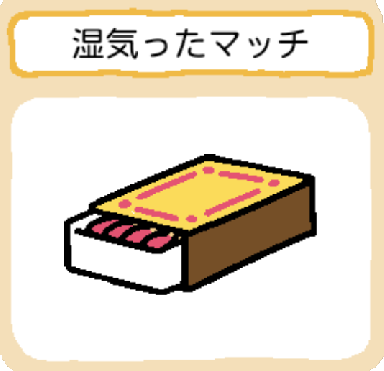 “板蒲鉾” is made by heaping up surimi on a board and then steaming or roasting it. This board was often used as a material of kids handicraft in old times(such as a simple miniature boat). It sounds “Kacha-kacha” when it touches other thing. 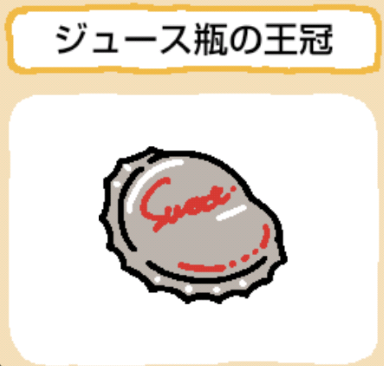 “缶バッヂ” means a can badge, button badge or Pin-back button. “カラフル” is “colorful” in Japanese notation. 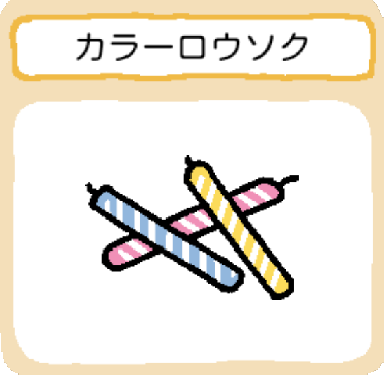 ロウソク(蝋燭 ろうそく) means a candle. Probably it would be a candle for a birthday party. There is a mark sharpened by the nail. A very good smell does. かつお節(鰹節) or okaka(おかか) is the Japanese name for dried, fermented, and smoked skipjack tuna (Katsuwonus pelamis). 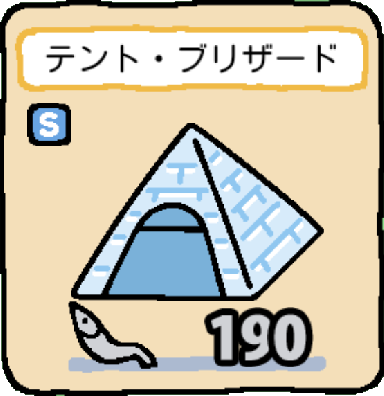 This is called dried bonito in English. 節(ぶし bushi) is not 武士(ぶし bushi). A usual pronunciation is ふし(fushi). When words are connected, the sound often becomes impure in Japanese. it means the dried, fermented, and smoked fish. The tip of the spoon is forking, and it is possible to use it like the fork. 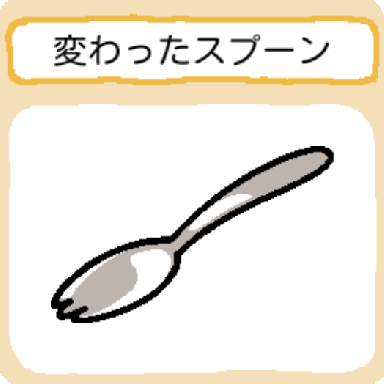 This is called the Spork(spoon and fork) in English. In Japanese, It is called “先割れスプーン”. “先(さき saki)” has various meaning, but in this case, it means the tip or the point. “割れ(われ ware)” typically means a crack, but in this case, it means a fork. 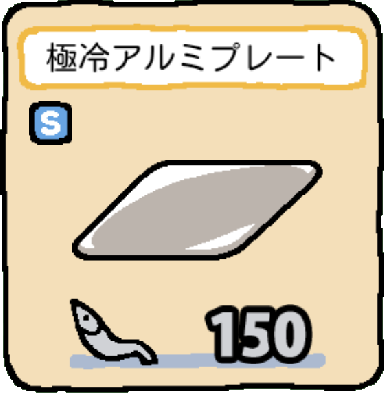 “スプーン” is “spoon” in Japanese notation. It was used with the school lunch as tableware in Japan. Beautiful stones without dull color. Probably this would be a jewel. a type to stop by a safety pin. Probably, this is a traffic safety brassard for children. In Japan, Children attend school on foot basically. To protect children from the traffic accident in a lot of regions, wearing a yellow hat and attaching a “ランドセル” cover of yellow and a traffic safety brassard are recommended. “ランドセル(らんどせる randoseru)” is like a satchel, but they are not same. The etymology of the “ランドセル” is ransel of Dutch. Lottery ticket of shopping street somewhere. “くじびき” is called 福引き, too. “福” means luck or happy. “引く(ひく hiku)” means pulling something. Pulling luck means,in a word, trying luck . A lucky person will get a good premium. otherwise,premiums are often a candy or pocket tissue. It’s different depending on time, but if it’s converted into the present value, it seems to be from 500 dollars to 1000 dollars roughly. A smallish and beautiful coffee cup. Also, the lip of a cup is soft. “コーヒー” is coffee in Japanese notation. 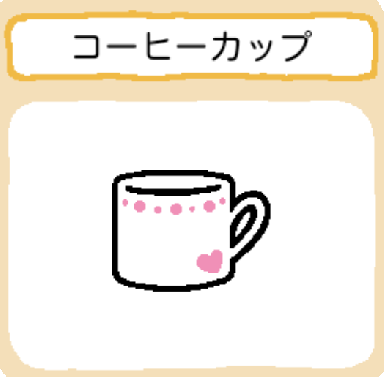 “カップ” is cup in Japanese notation. A lens part of glasses. It’s power(glasses　prescription) is very strong. 眼鏡 means a pair of glasses or spectacles. 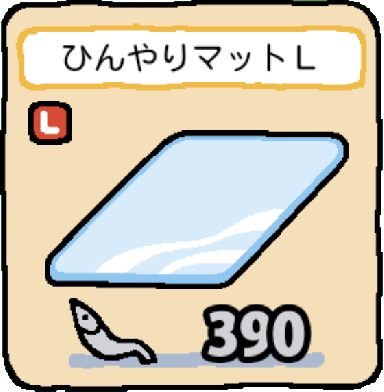 “レンズ” is “lens” in Japanese notation. 部分 meas “a part of”. 度(ど do) means “degree”. It is called “度合い(どあい doai)” or “程度(ていど teid)”. Perhaps, this might be a lens that loosens the screw of the frame and has come off. No one knows what this seeds is. “種” means a seed or a kind. “わかる 判る/分かる wakaru” means understand, see, realize, etc. “ない nai” typically means “nothing”,”there is no ~” or “lack”, but when it’s connected behind a verb, it means denial or negation, such as “not” or “no”. In this case, the end of the verb changes. “わかる wakaru / understand ” + “ない nai / not” = “わからない wakaranai / not understand”. “鳴る なる naru / ring” + “ない nai / not” = “鳴らない naranai / not ring”. A bell which was modified so as not to ring. 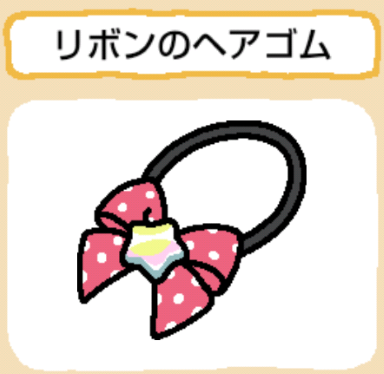 “鳴る” means ring or sound. “細工 さいく saiku” typically means handiwork or a trick, in this case, it means modify or remodel. 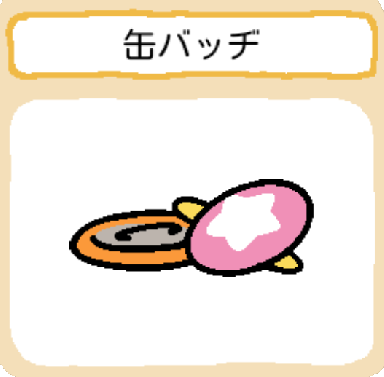 Neko jarashi(ねこじゃらし) is a common Japanese name for cat feather toy. 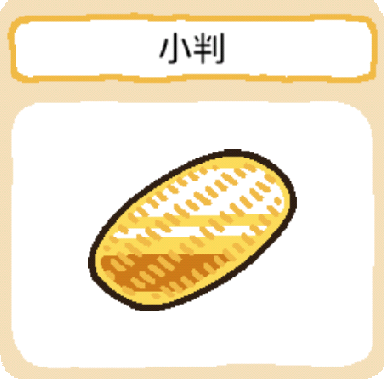 “先” means tip, end, top of. The war trophies which he/she fought and got until now? “戦利品” means a war trophy. “今” means now or current. “まで” means until or to. These seems to be nezumi-san and tonbo-kun. 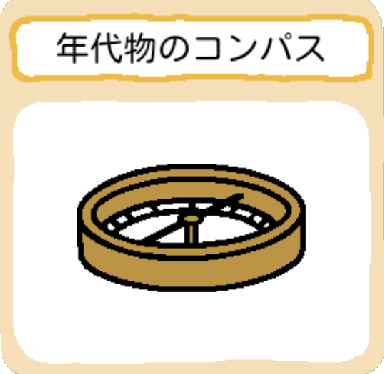 A compass that the magnetic needle does not stop easily. “年代” means an age, a period or an era, but in this case, it means “Thing that had gone through many years” by appending “物 object/thing” to it. 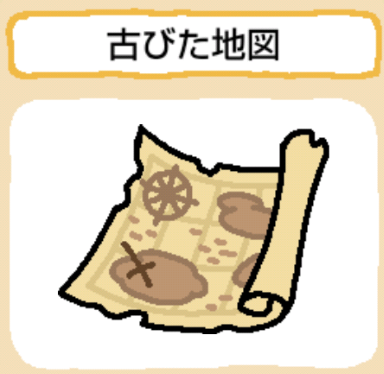 “コンパス” is “compass” in Japanese notation. “止まらない” is a negation form of “止まる”. 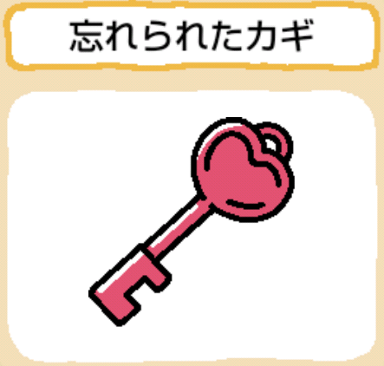 “オモチャ(玩具 おもちゃ)” means a toy. “手 て te” means a hand. “鏡 かがみ kagami” means a mirror. 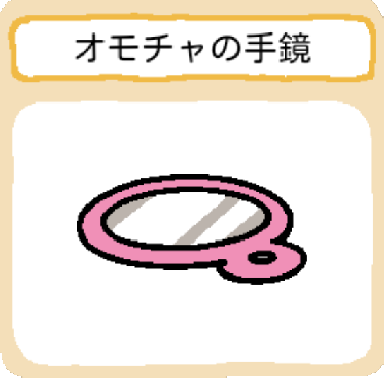 A durable and small hand mirror. “丈夫 じょうぶ joubu” means durable or strong. “小さな ちいさな chiisana” means small. A bookmark with a violet flower. “押す おす osu” means push, but in this case, it means press. “花 はな hana” means a flower. 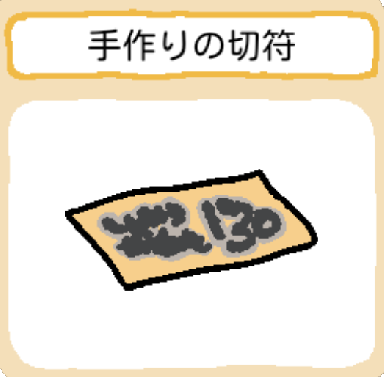 “しおり 栞” means a bookmark. In Japan, “紫 murasaki” typically indicates purple or violet, but strictly speaking they are not same. The following is a definition of violet and purple. Formally, violet in Japan seems to be called “菫色”, too. The image of 菫 is 菫 – Google Images. Considering the above, this seems to be a bookmark of pressed flower of the Violet. A person would not hesitate over which to choose by this. 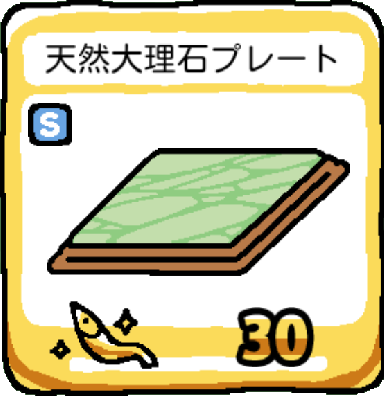 “ハンカチ” is “handkerchief” in Japanese notation. “洗う あらう arau” means wash.
“~たて tate” means just + verb (to have just finished something). “綺麗 きれい kirei” means beautiful. “小さい ちいさい chiisai” means small. A Hard and light cast‐off shell. “硬い かたい katai” means hard. “軽い かるい karui” means light. 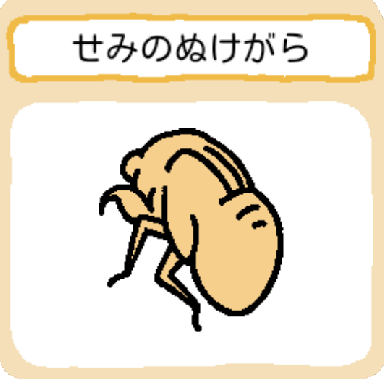 In Japan,the chirping of cicada is treated as “夏の風物詩”, but it seems to sound like only the simple noise to overseas people. “夏 なつ natsu” means summer. 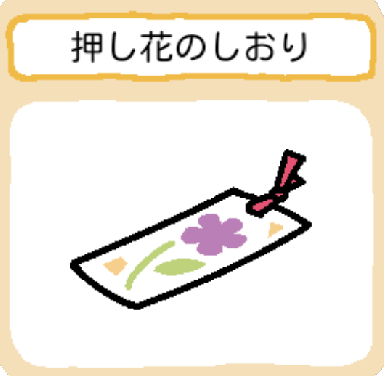 “風物詩” in this case means “thing that reminds or feels a particular season” or “thing that can not to lack for a particular season”. 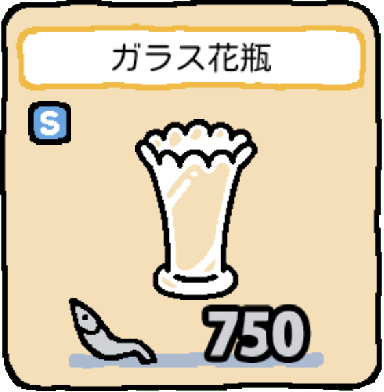 There is other “夏の風物詩”, such as “a watermelon”, “a mosquito coil”, “fireworks, a sea”, “a pool”, “an electric fan”, “a ice pop”, “a firefly, roasted barley tea”, “a straw hat” and “sunburn”. It have been wet and won’t light. 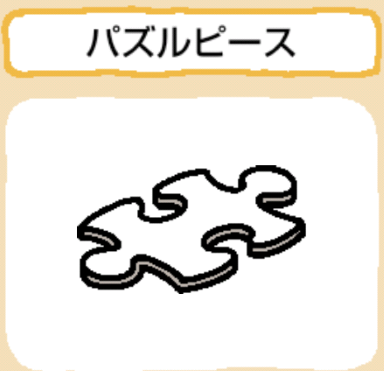 “マッチ” is “match” in Japanese notation. 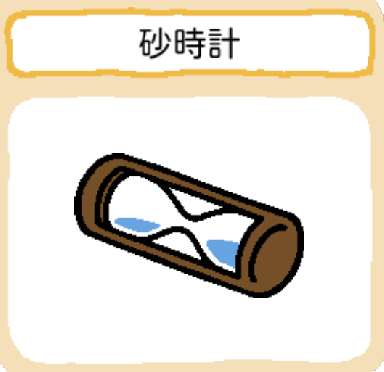 “湿気” means moisture, but in this case, it means “become wet or become damp” by appending “る” to it to verbalize it. “入った” is past tense of “入る はいる hairu”. In this case, it means “be in” or “be inside”. 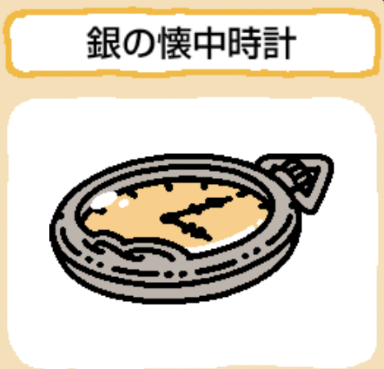 “時計” typically means a clock or a watch, but in this case it means a timer. “大きい” means large or big. “美しい” means beautiful or fine. “猛きん類 もうきんるい moukin rui” means raptor. “綺麗な きれいな kireina” means beautiful, pretty or fine. 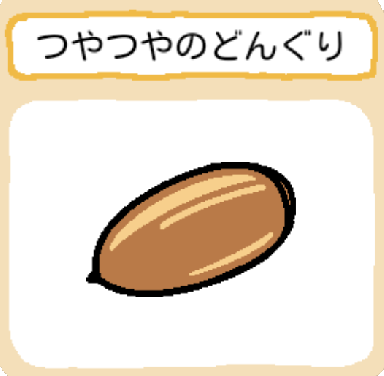 “どんぐり 団栗 donguri” means a acorn. Kairo which become stiff(hard) after having use. 懐炉(カイロ かいろ kairo) is a Japanese potable warmer. 懐(ふところ futokoro) means bosom or “inside pocket(mainly upper-body)”. 炉(ろ ro) means a hearth. Old kairos used heat generated by a warm stone or benzen. Now, many kairo seems to use heat generated by a electric system. “使う つかう tsukau” means use. “終わる おわる owaru” means finish or end. 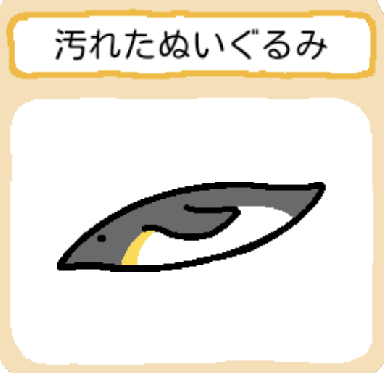 “カチカチ” is a onomatopeic word representing be hard. The “使い捨てカイロ” seems to be using the heat generated when iron powder oxidizes. Iron filings in “使い捨てカイロ” seems to cling by the process of this oxidation and to become “カチカチ”. 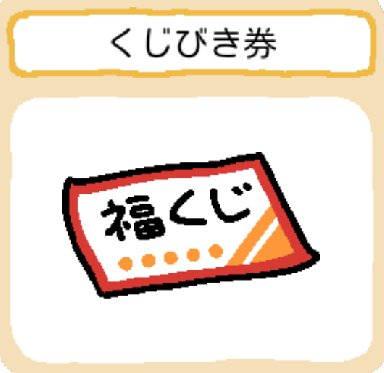 A ticket such as child made. A letter is blurred and is not readable. 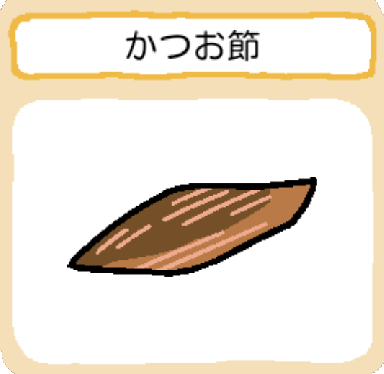 “毛 ke” typically means hair, but in this case, it means bristle since probably this is a brush for hair. 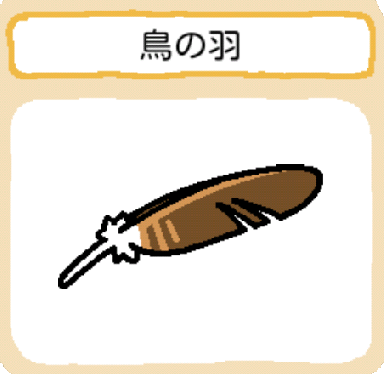 “ブラシ” is “brush” in Japanese notation. Possibly, is this a brush for pets? “ペンギン” is “penguin” in Japanese notation. “縫う ぬう nuu” means sew. 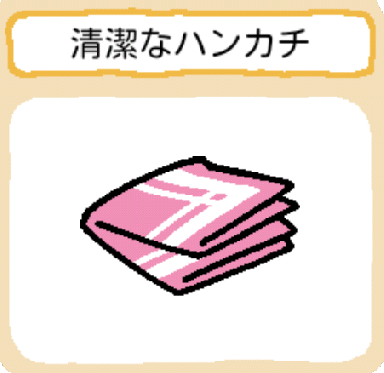 “包む　くるむ kurumu” means wrap or bundle. “縫いぐるみ ぬいぐるみ” means stuffed toy. Probably, this means “a thing made by wrapping a cotton in cloth and sewing it”. Is this a kind of Kerigurumi? Though it seemed to be written something, they are not readable since they are blurred. 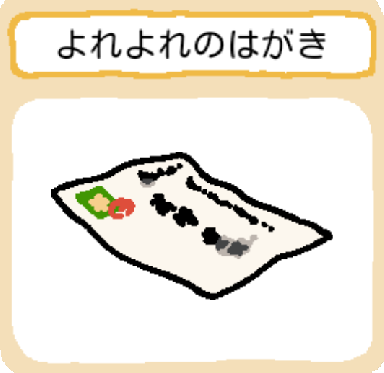 “葉書 はがき” means a postcard/postal card. 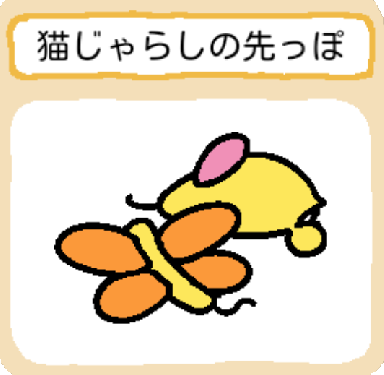 “よれよれ” typically means worn‐out, shabby or threadbare. Probably this “よれよれ” was caused by drying after getting dripping wet by rain or water. It is not caused by time-course or worn-out. The plastic container with a lot of bite marks. “タッパー” is “Tupper” in Japanese notation. 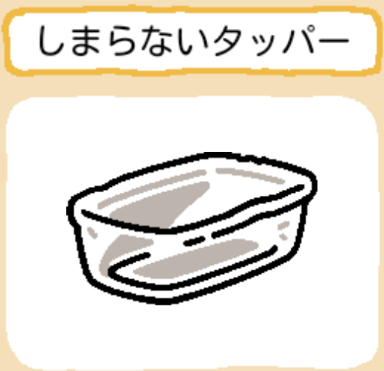 but, in Japan, “タッパー” is a common noun indicating plastic containers. Large sunglasses for when you want to intercept other than sunlight. “大きい おおきい ookii” means big or large. 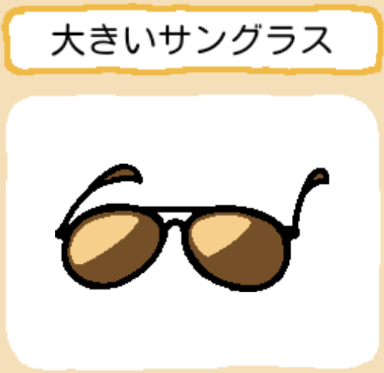 “サングラス” is “Sunglasses” in Japanese notation. A wand of unusual shape. You will feel strange when you have this. “変わった かわった kawatta” means unusual or strange. “杖 つえ tsue” means wand, cane, stick, staff or rod. 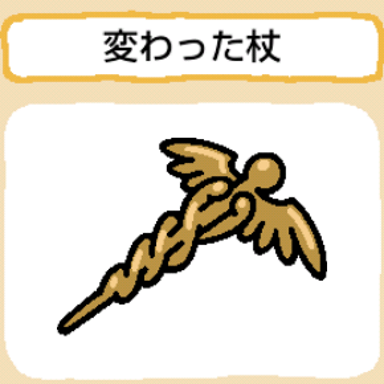 Perhaps, This is a item that is modeled after “Wand of Hermes(Mercurius)“. The old coin on which the beautiful design are engraved. The back and the front have the same design. “アンティーク” is “antique” in Japanese notation. 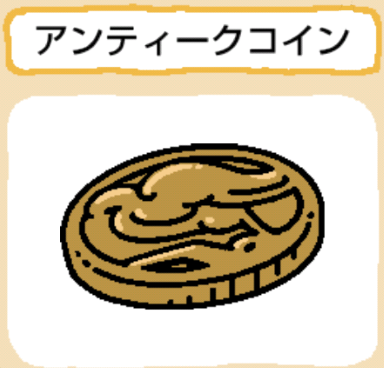 “コイン” is “coin” in Japanese notation. A crown cap of a juice bottle. A crown with the pattern which has not been seen. It is equipped with thin cork on the back. “ジュース” is “juice” in Japanese notation. “王 おう ou” means king. “冠 かんむり、かん　kanmuri,kan ” means crown. which had wrapped a gift box. “プレゼント” is “present” in Japanese notation. 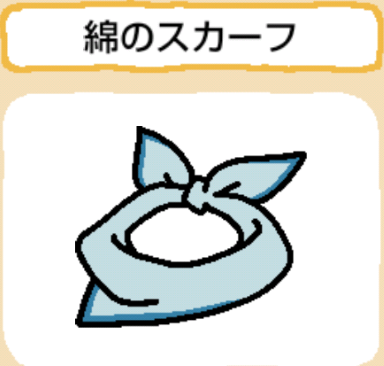 “リボン” is “ribbon” in Japanese notation. A plastic straws which has characteristic form. “ストロー” is “straw” in Japanese notation. 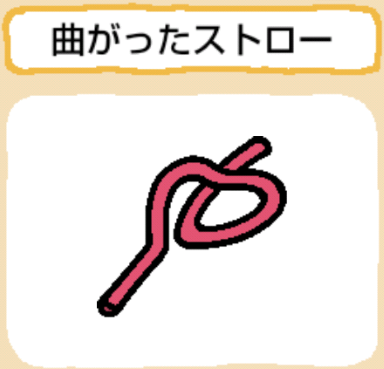 Perhaps, This is a item that is modeled after “Heart Straws”. When I was a child, there was a “G-Clef Drinking Straws”. but when touching, it’s cold. “だるま(達磨 daruma)” means Daruma doll. It seemed that yukidaruma in Edo period is modeled after Daruma doll. 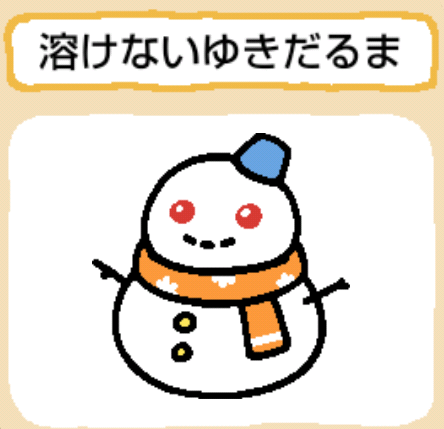 Currently, yukidaruma is made of two snow balls(head and body). 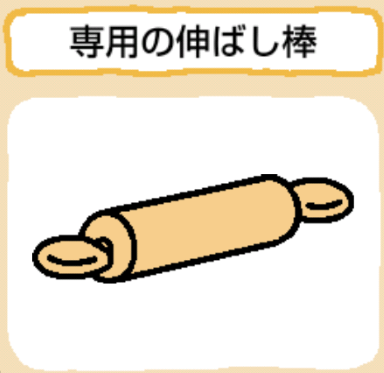 A rolling pin for cat’s use. a piece of zigsaw puzzle. 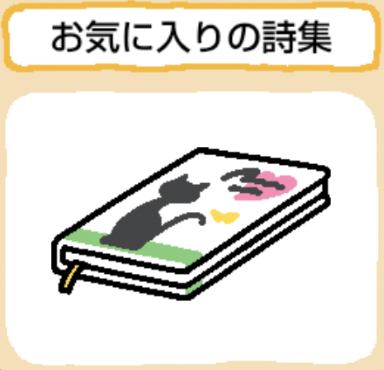 poetry anthology with a illustration of a beautiful cat. Although this is old vintage stuff,Accurately ticking. “色褪せた” is past tense(past participle ?) of “色褪せる”. “羊皮紙” means a paper made of sheepskin. 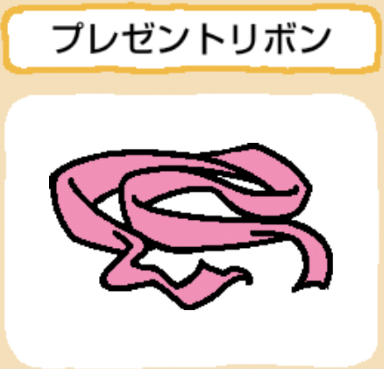 Hair rubber band with a ribbon. 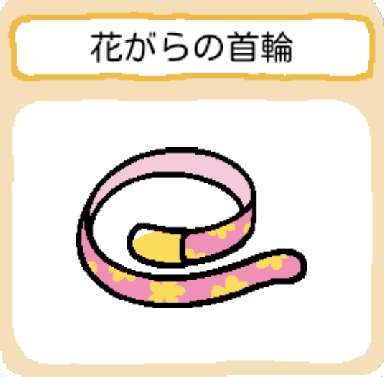 Hair rubber band with a ribbon of the dot pattern. “ドット” is “dot” in Japanese notation. “柄 がら gara” means pattern. “ヘア” is “hair” in Japanese notation. In this case,”ゴム” is an abbreviation of “ゴムバンド”. “バンド” is “band” in Japanese notation. “しなびた” is past tense(past participle ?) of “しなびる 萎びる shinabiru”. 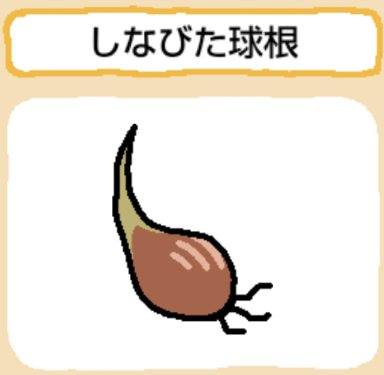 A shriveled bulb which there is soil on the surface. “残る” means remain,but in this case, I use “There is ~”. “しおしお” is the “萎萎” in Japanese Kanji. This is a onomatopoeia of “萎れる”. Cotton scarf that is agreeable to the touch. There is embroidery　like a character on the back. “刺繍 ししゅう” means a needlework,fancywork or embroidery. “文字 もじ moji” means a character. A leathern choker with locket. It won’t open because it’s broken. “革 かわ kawa” means leather. A tube paint that it was dried up and became hard because it had been put away for a long time. “カチカチ(かちかち kachi-kachi)” is the onomatopoeia. It means “hard” or “stiff”. No one knows it is where should to be used. 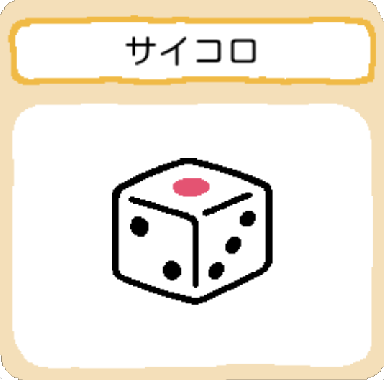 “かぎ” is the “鍵” in Japanese Kanji. 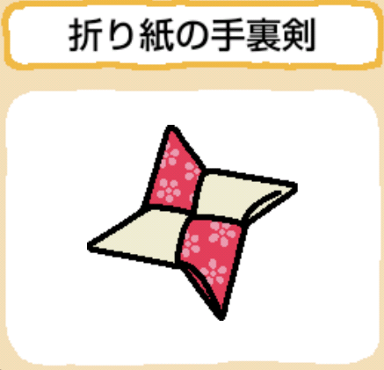 A Shuriken folded carefully with the “Washi”(Japanese traditional paper). How to make a paper Shuriken. ・Help and other links are here. ・Menu structure has been changed. L-size goods needs double the size of S-size goods. 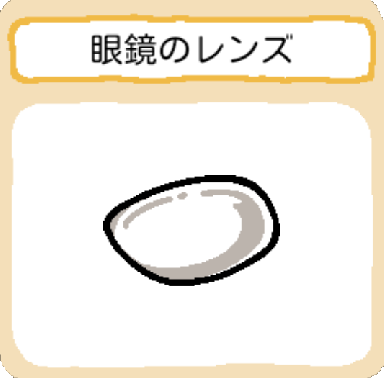 ・Bonus item is added in the Watchword. ・How to move and delete photos has changed. 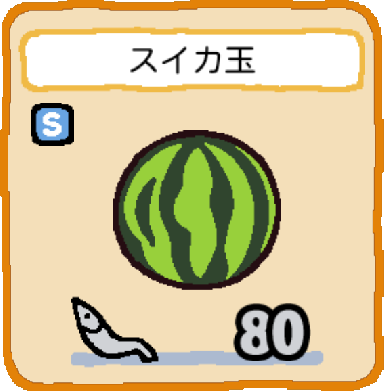 スイカ(すいか 西瓜 suika) means a watermelon. 玉 means usually a ball or sphere, but in this case it means suffix like a quantifier of Spherical vegetables(wartermelon,cabbage,etc). I think this is a beach ball of a watermelon, not a real watermelon. 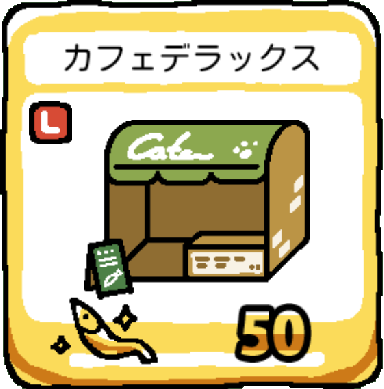 “カフェ” is “cafe” in Japanese notation. “デラックス” is “deluxe” in Japanese notation. Cafe Deluxe is a new version of the Cardboard House which is a cafe type. 極冷 means “extreme cold” or “very cold”. 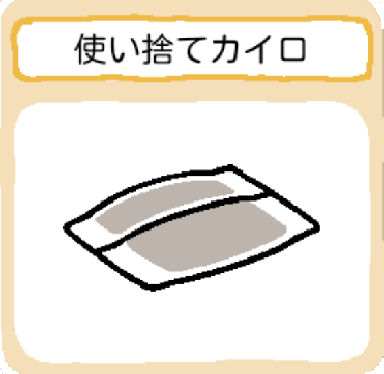 “アルミプレート” is “aluminum plate” in Japanese notation. 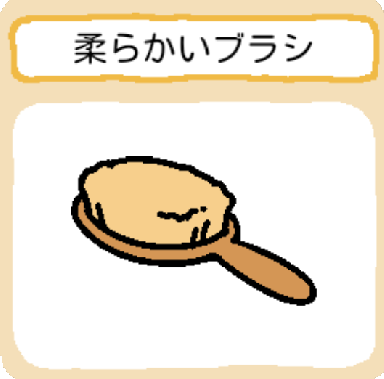 “プレート” is “plate” in Japanese notation. “マット” is “mat” in Japanese notation. “ナチュラル” is “natural” in Japanese notation. 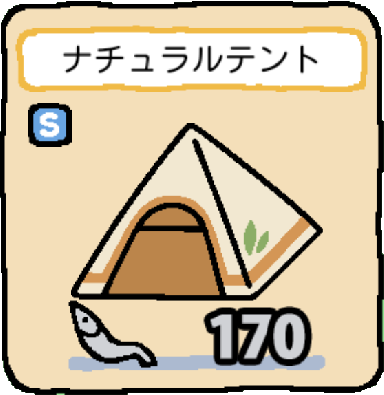 “テント” is “tent” in Japanese notation. This tent is designed with natural color. 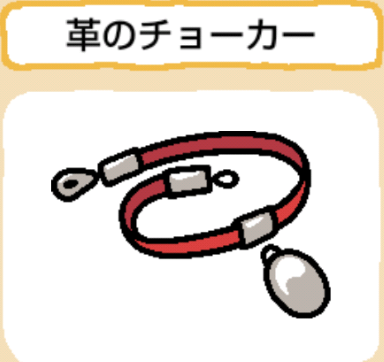 “レッド” is “red” in Japanese notation. “モダン” is “modern” in Japanese notation. This tent is designed with modern art. “ブリザード” is “blizzard” in Japanese notation. This tent is designed in the image of a building like the Ice hotel or the Igloo. The kamakura is similar to the igloo,but I think that ,strictly speaking, they are not same. How to make the Kamakura. 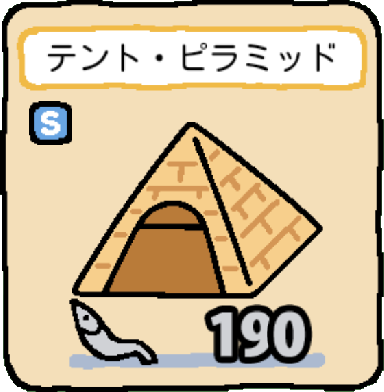 “ピラミッド” is “pyramid” in Japanese notation. This tent is designed in the image of the pyramid. 野点 means a tea ceremony to make a tea or 抹茶(まっちゃ maccha/ matcha) outdoors. 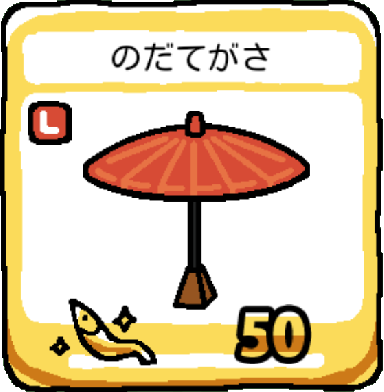 傘 means umbrella or parasol. 野点傘 is used for the awning at the 茶会(ちゃかい chakai/ tea ceremony). For more information about the Nodate, see Japanese tea ceremony. This goods will match “池と床の間” very well. 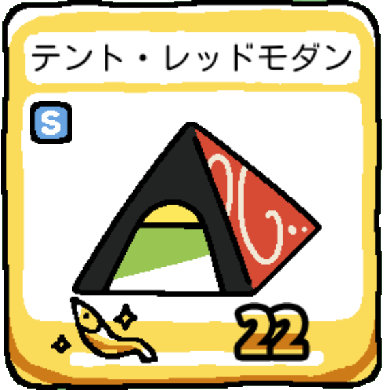 “ビーチ” is “beach” in Japanese notation. “パラソル” is “parasol” in Japanese notation. 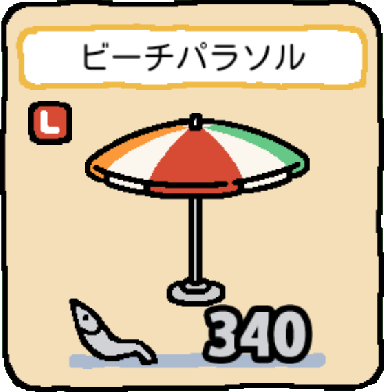 That is, “ビーチパラソル” means a beach parasol. “ガラス” is “glass” in Japanese notation. 花瓶 means a flower vase. That is,”ガラス花瓶” is a flower vase made of glass.